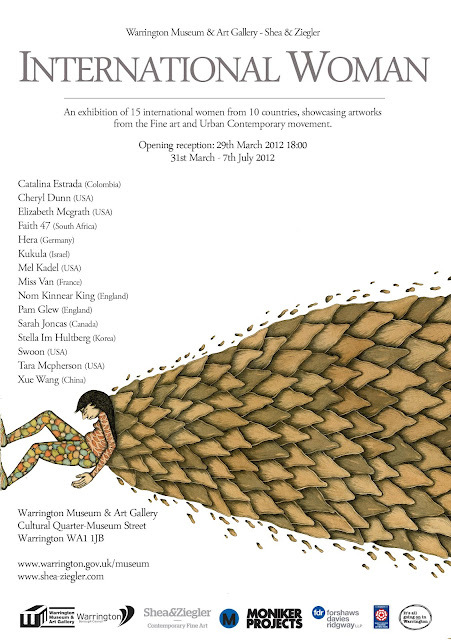 'International Woman' brings together a stellar roster of more than 15 artists from 10 countries, being the first exhibition in the UK that highlights the cross-over of the Pop Surrealism and Urban fine art movements under one roof. Working in underground art movements these women have forged names for themselves by pushing the boundaries of contemporary art, experimenting with new mediums, ideas and visual concepts. Individually they have enhanced the overall direction of these underground movements, and as a collective they have changed the way women are viewed in urban culture today. Tara Mcpherson and Xue Wang. International women's day celebration is a wonderful idea. I am planning a surprise birthday party for my best friend at one of beautiful Chicago venues in a couple of weeks. Planning a princess theme party to make her feel special. Hope she enjoys her day to the fullest.